Online web applications makes our life easy. 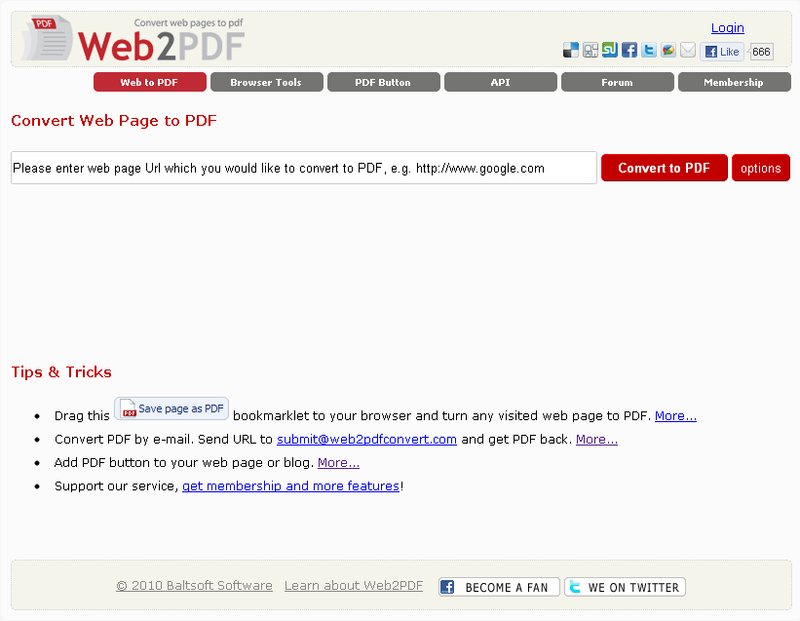 web2pdf web application is one of the best web applications available on internet. It simply converts web page to pdf in few seconds. Just click web2pdf and enter web page Url which you would like to convert to pdf. 3. Store and share PDF online. You can choose any one of them according to your requirement.